W. W. Norton & Company, 9780393338591, 310pp. Ever wily and ambitious, Ayyan weaves two plots: the first to cheer up his weary, soap-opera-addicted wife by creating outrageous fictions around their ten-year-old son; the other to sabotage the married director by using his boss's seeming romance with the institute's first female--and very attractive--researcher. Meanwhile, as the institute's Brahmins wage a vicious war over theories about alien life, Ayyan sees his deceptions intertwining and setting in motion a series of extraordinary events he cannot stop. 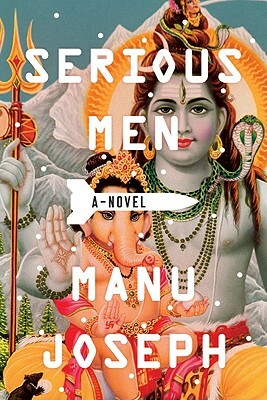 Unfailingly funny and irreverent, Serious Men is at once a hilarious portrayal of runaway egos and ambitions and a moving portrait of love and its strange workings.